Veterans Answered the Call to Serve; Will You Answer the Call to Hire Them? Veterans’ Day is an important reminder to each of us to reflect on and be thankful for the service and sacrifice of those who have served in the military and of their families. It is also an opportunity for us, as a country, to think about how to repay that service, in some small measure, by providing opportunities for veterans to continue contributing to our society in new ways. The specialized skills veterans bring to bear in civilian life, as a result of their training, can be incredibly valuable, but it’s up to us to leverage their talents effectively. Consider Shari Cruz. Shari is both a veteran and a military spouse. After serving as an active duty member in the US Marine Corps, she completed a master’s degree in instructional technology and educational leadership. She now works from home as a freelance instructional designer. Working as a freelancer allows her to balance her career and family goals without having to put her children in day care. Plus, it gives her the ability to continue her work even when her family has to move because her husband, who remains on active duty in the Marines, has been assigned to a new location. Because she’s self-employed, Shari has been able to keep her career going. She runs her own business, and it’s portable. Shari’s story is indicative of the hard-working, self-motivated nature of veterans on the whole. They may value the flexibility to work from home or to work for themselves, just as many in the wider working population do, but given the ever-changing nature of military life, they need that flexibility more than most. Since many of them will have family members who are still in the military, even more constraints may be imposed on their work lives. Still, veterans face significant hardships when returning to civilian life. 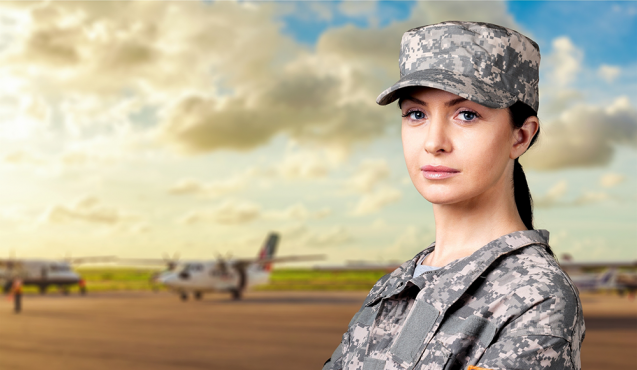 Military responsibilities don’t often easily align with civilian resumes. Combat veterans might face setbacks as a result of injuries and post-traumatic stress disorder (PTSD). In addition, veterans may also find challenges in seemingly mundane, everyday tasks of civilian life like adjusting to new routines, securing housing, or arranging for childcare. Marcy Carl experienced some of these challenges, and she found her footing with the help of transition programs and the freelance economy. Marcy served seven years in the US Air Force, including the honor of serving at the White House. After completing her service, Marcy, a single mother, found a great opportunity in a job that allowed her to work from home. However, while her company was supportive, her options for advancement were limited unless she wanted to move closer to the company’s headquarters in a different state. Instead, she transitioned to contract work, eventually becoming a full-time freelancer. 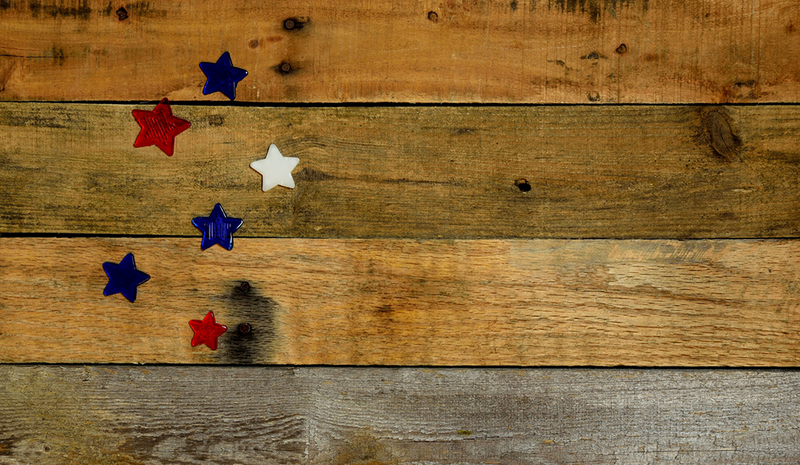 As a freelancer, Marcy finds that her veteran status helps, because for potential clients, it conveys trust, reliability, and a great work ethic. Federal and state agencies, nonprofit organizations like Return to Work, and committed individuals have devoted a lot of time and resources to addressing the problems veterans face when returning to work. The Department of Labor’s (DOL) America’s Service Locator helps vets find locations where they can get job counseling and help finding work. For employers, the DOL has a long list of resources on employing veterans. But there’s another thing that can help veterans like Marcy and Shari: We estimate that more than 16.5 million veterans and members of military families have found freelance work over the last year. These veterans and their family members are able to work on their own terms with much more freedom and flexibility than they would have if they had traditional jobs. That is empowering to them, especially if they need to take care of all the logistics of reintegrating into civilian life or perhaps have spouses still on active duty. They are also more likely to be able to arrange their schedules better around child care or other needs. And their careers are more portable in the event that they need to move. In the recent “Freelancing in America” survey, commissioned by Upwork and Freelancers Union, we found that veterans are more likely to see freelancing as a long-term career choice (54 percent of veterans who freelance vs. 46 percent of all freelancers) and many more describe themselves as full-time freelancers (45 percent vs. 25 percent). One of the social impact agencies Upwork partners with, Liberty Source, is aimed at employing highly skilled vets. We’re pleased we can help play a small role in helping Liberty Source, as well as vets like Shari and Marcy, find more opportunities. No one outcome is perfect in every situation, much less the complex transition to civilian life. Transitioning veterans may not find their dream jobs right away, and self-employment isn’t for everyone. But freelancing has been shown to provide a promising avenue for many veterans and military family members. On Veterans Day it’s important to remember that and support opportunities for those who have sacrificed so much for us. Stephane Kasriel is the CEO of Upwork.